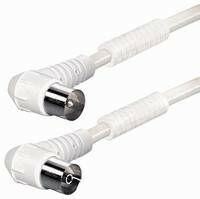 Productinformatie "Antenna cable 2m white Class A"
Male Connector to female Connector with absorber-ferrite. ideal patch cable for example between Antennabox and TV Card. Verdere links naar "Antenna cable 2m white Class A"